Hydra has fallen...but so has S.H.I.E.L.D. REVIEW: "Doctor Who: Deep Breath"
Peter Capaldi's premiere episode as the Doctor. Does it hold up? Finally, the "Merc with the mouth" gets his time in the spotlight"
With eight months away from the official release in December, Star Wars takes a look backwards in time rather than forward, taking us back to the days of Rebel Alliances, Death Stars, and more, with their newest trailer for the first Star Wars spin-off film, Star Wars: Rogue One. As you can tell from the trailer above, this film takes place between the events of Star Wars Episode III: Revenge of the Sith, and Star Wars Episode IV: A New Hope. This film will follow the story of a brave group of freedom fighters on a daring mission to steal the plans of the Galactic Empire's new battle station-the Death Star. With Star Wars Rebels currently on Disney XD, taking place around the same time and showing the formation and growth of the Rebel Alliance, it will be curious to see how this film will affect the series, or vice versa. 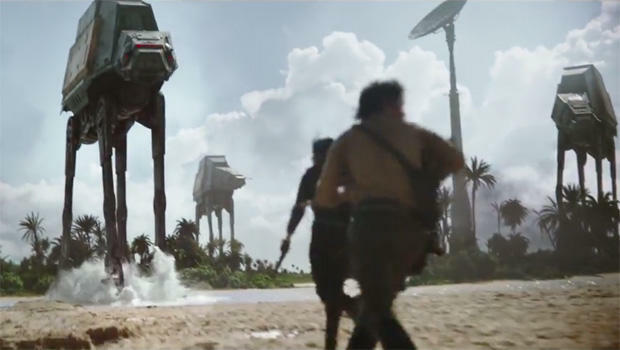 Star Wars Rogue One stars Felicity Jones, Mads Mikkelsen, Forest Whitaker, Diego Luna, Ben Mendelsohn, Donnie Yen, Alan Tudyk, Riz Ahmen and Jonathan Aris, and will hit theaters on December 16, 2016. The folks at BatInTheSun Productions have done it again and taken the internet by storm. They have been providing various super hero/villain match-ups in their youtube series "Superpower Beatdown" for several episodes now, with their most notable being Batman VS Darth Vader. This time, they have taken it a step further by pitting everyone's favorite DC villain, and pitting him against the soon to be favorite Marvel anti-hero (along with their sidekicks Harley Quinn and Domino) in what is an amazing fight with incredible acting, most notably from Aaron Schoenk portraying a magnificent live action representation of Mark Hamill's Joker. 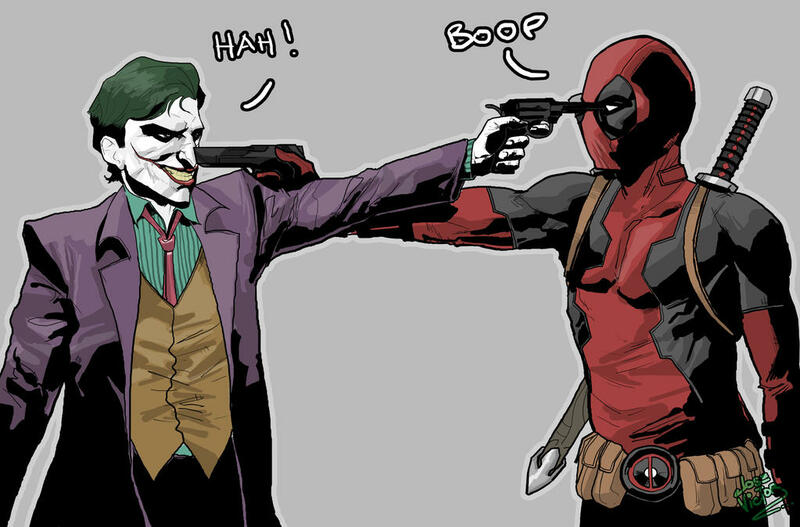 The Clown Prince of Crime VS the Merc with the Mouth. Check out the amazing fight below. The next fight will see the likes of Spiderman facing off against the Dark Lord of the Sith, Darth Maul, and the winner will be decided by your votes. Be sure to vote here, and let your voice be heard. Either way, we are sure to be in for one hell of a fight. "Star Wars" fans across the galaxy felt the tremor through the force when Disney announced the "Disney Infinity 3.0" expansion pack for the Disney Infinity, introducing that galaxy far, far, away into the mix ranging from both Prequel era characters (from Obi-Wan Kenobi, Anakin Skywalker, Yoda, Darth Maul, and Ahsoka Tano), to Original Trilogy Characters (Luke Skywalker, Han Solo, Princess Leia, Chewbacca, and Darth Vader) as well as two campaign modes, "Twilight of the Republic" and "Rise Against the Empire". Check out a sneak peak at the beginning of the "Twilight of the Republic" campain below. However, Starwars.com has made an exciting announcement. Joining the ranks of characters from the hit series Star Wars: The Clone Wars, the characters from Star Wars: Rebels will now be included into the mix. 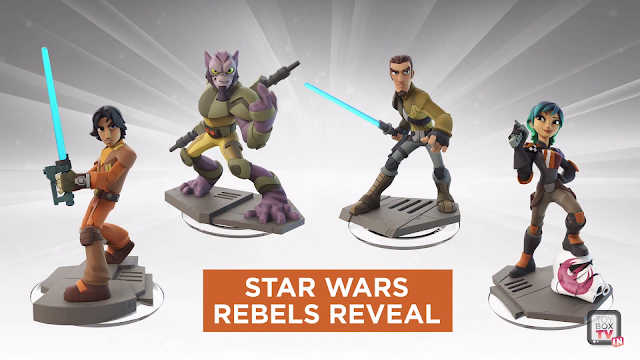 "When we first started thinking about doing the Rebels characters, I had heard about the series, but I hadn't seen anything yet," says Jeff Bunker, vice president of art development for Disney Infinity at Avalanche Software and, for all intents and purposes, the father of the game. "Lucasfilm provided us quite a bit of early concepts and early episodes for us to watch, and we ate it up. We watched everything we possibly could to see if we could understand their characters, because that's critical to getting the right pose for each one. So there was a great deal of research that went into the first round of each character." From there, Bunker's team worked in collaboration with Lucasfilm and Chorba, exchanging ideas on poses, designs, and expressions. 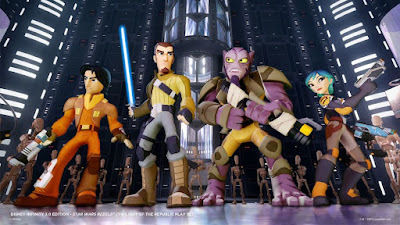 The Star Wars Rebels style isn't so far removed from that of Disney Infinity, which takes Disney Pixar, Classic Disney, and manga influences, and throws them into a blender. The result is a unified, alive, and beautiful aesthetic that works across brands. 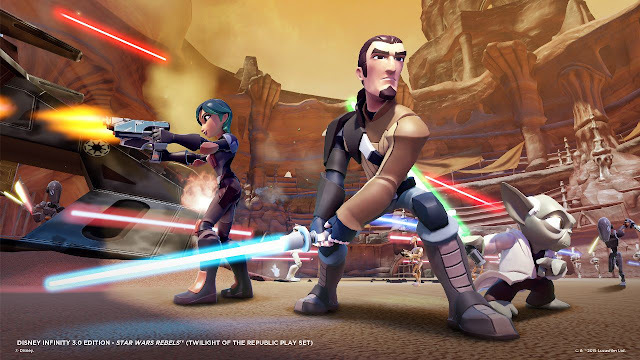 For Avalanche's part, having an established look for the toys and game gave them a head start on bringing Star Wars and Star Wars Rebels into the fold. Ezra Bridger, Kanan Jarrus, Sabine Wren, and Zeb Orrelios will all be hitting the Infinity scene. Absent from the crew was Chopper and Hera Syndulla. Chopper's absence can easily be explained for the same reason we don't see R2D2-he's simply not a playable character in the same sense as the others. However, the lack of Hera is raising quite a few eyebrows from the Star Wars community. Acting as the pilot of their ship "The Ghost", and possibly the most active in the fight against the Empire, it is very odd to have her absent. Perhaps she will be appearing in a future expansion with "Rebels-era" Ahsoka, and many more. Only time will tell. 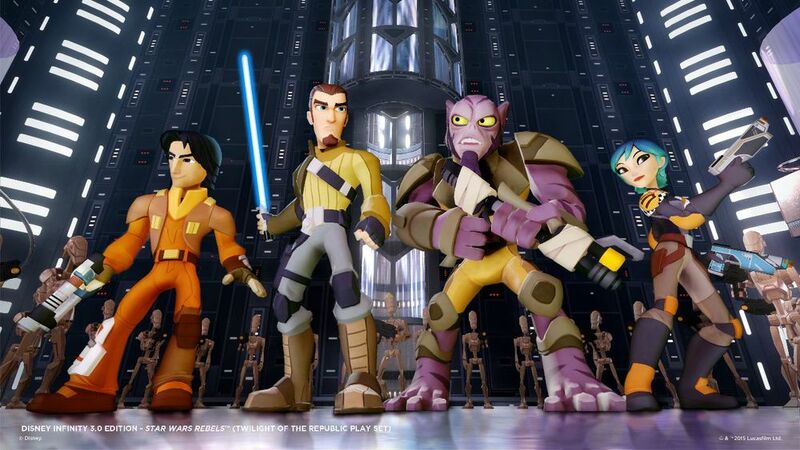 Disney Infinity 3.0 will be hitting shelves this fall, and be sure to check out the Season 2 premiere of Star Wars Rebels, coming June 20th only on Disney XD. If there is one thing that the Transformers fandom has relied its long life to, it is the incredible fandom as its backbone, and not the transforming shooting robots themselves-something the crew behind Michael Bay's recent four (and soon to be five) films have failed to realize. However, after six full months of production, a Transformers fan has come out of the woodwork and created what, as far as I have experienced, the most incredible stop-motion fan film to date for any franchise. Finally, Transformers fans have a (short) film to not be ashamed of. Obviously animation is taking a picture of point A, taking another picture of point B, taking another at point C and playing them in sequence to create the illusion of movement-however, the man behind this video, Harris Loureiro, has somehow managed to add just the right amount of movement between shots for a fluid and "realistic" stop-motion video. Be sure to check out more of Harris' videos over at his Youtube page, and support him via Patreon. After waiting for years, it was only a matter of time after the take-over of that "galaxy far, far away" from Disney that we would be seeing the voyages of Obi-Wan Kenobi, Luke Skywalker, Han Solo, Chewbacca, Yoda, and many more save the galaxy again. However, rather than seeing it from our DVD and Blu-ray players, we will now have the chance to own the entire Star Wars saga in digital format, ranging from iTunes, to Google Play, to Xbox, and many other formats! The "Star Wars Digital Movie Collection" will not be available until April 10th, but pre-orders are available at Starwars.com. "Since the debut of the first film nearly 40 years ago, Star Wars has become a worldwide phenomenon with legions of fans from every generation," said Alan Bergman, present at The Walt Disney Studious. "It's only fitting that audiences enjoy this legendary saga and its many fascinating behind-the-scenes stories on a wide variety of platforms, and we're very excited to finally bring all six films to Digital HD for the first time". The digital release will include new pieces of behind-the-scenes content and commentaries for each of the films. Check out the amazing trailer for the upcoming "Star Wars Digital HD Movie Collection". And because there are those of you who will ask: You don't have to buy the Prequels to get the Classic Trilogy. Each film is its own separate purchase with a pre-order price at $19.99 each. Be sure to check out the "Star Wars HD Digital Movie Collection" on April 10th, 2015. 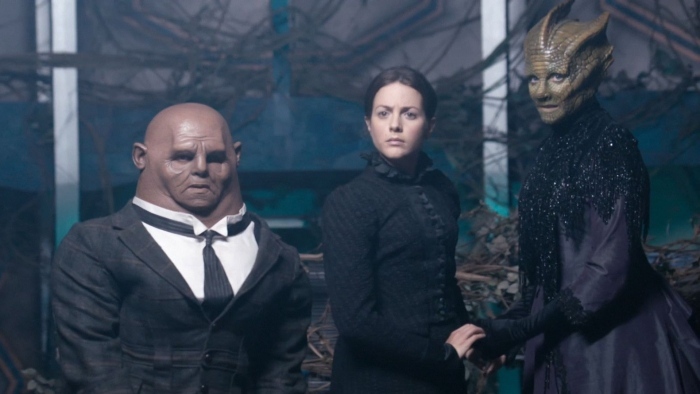 At the South by Southwest conference, Moffat spoke with Entertainment Weekly about the special. "The special is its own thing. We wouldn't have done the story we're doing, and the way we're doing it, if we didn't have this special. It's not part of the run of three episodes. So we had this to do it-as we could hardly conceal-it's Victorian. [Co-creator Mark Gatiss] and me, we wanted to do this, but it had to be a special, it had to be separate entity on its own. It's kind of in its own little bubble. Fans of the series are also no stranger to the fact that Moffat is also the showrunner for the long-time hit BBC series, Doctor Who, and with that comes all forms of theories and speculation. For years, fans have wanted some form of Sherlock and Doctor Who cross-over, and this may be the perfect chance to do it. With Sherlock and Holmes returning to Victorian London, and this being a non-canon storyline, if the duo do not come in contact with the famous Paternoster gang, then such a great opportunity would be missed. At this time, no air date has been announced for the special, but with it being a Christmas episode, it is obviously expected some time in December. Check back for updates. 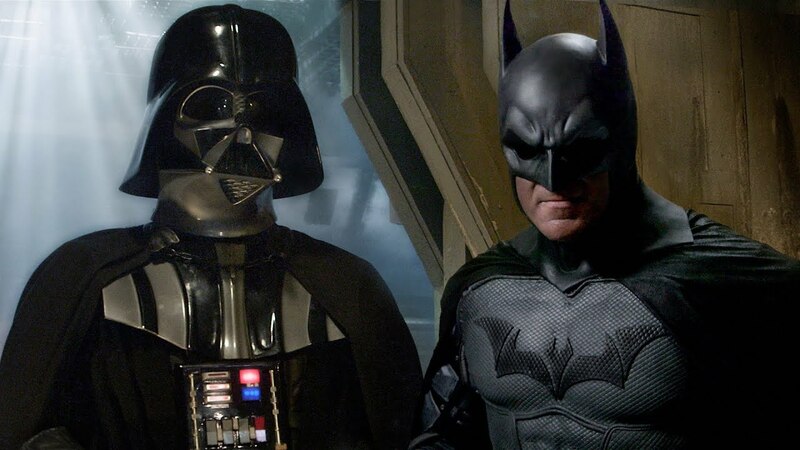 In what was sure to be a video to spark the internet ablaze in nerd fury, the amazing team over at "Bat in the Sun" was able to put an incredible showing of who would win in a fight to the death between Batman and Darth Vader. You can see that incredible video here. (Spoilers) In a true showing of the force, Darth Vader pulled Batman out of his plane and snapped his neck in true Sith Lord fashion. However, one cannot just walk away from Batman being defeated and call it a day. The folks from "Bat in the Sun" decided to revisit the outcome of the video to pull the outcome towards the way of "The Dark Knight". Check it out! Although I am an avid Star Wars fan and would love to see Darth Vader rip through any enemy with ease, it is more satisfying to see Darth Vader lose admirably, than to see Batman defeated cheaply. What do you think of the new outcome? Should Darth Vader have still been considered victor? Or should it literally take the power of a Kryptonian to take down the Dark Lord of the Sith? Let us know in the comments!